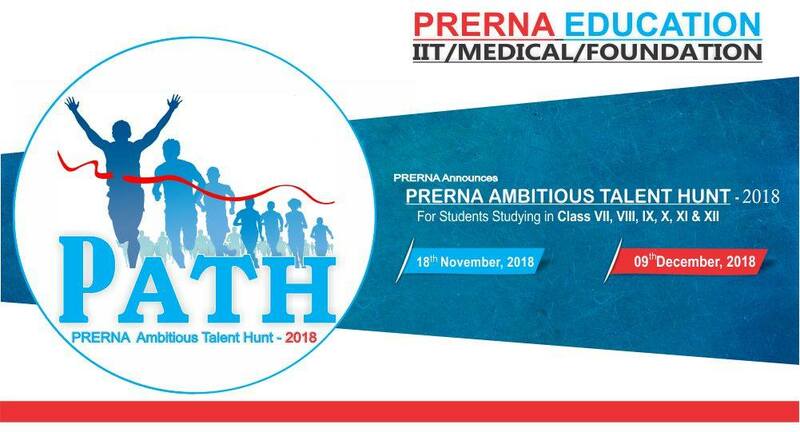 Prerna Education is conducting Prerna Ambitious Talent Hunt 2018 (PATH) for class VII, VIII, IX, X, XI & XII studying students. PATH 2018 is a Scholarship Examination which we conduct to bring out the hidden talent of Ambitious students who have ambitions to become top professionals. Students who are currently studying in Class VII, VIII, IX, X, XI & XII can appear for PATH 2018 examination. There are no minimum marks set by the governing authority in order to register or apply for the PATH 2018 examination. Where is the exam center? But I don’t understand where and when will be the exam held?? Can you tell me about the timings of the exam and where I can give the test?? at H-81, South Extension Part-1, New Delhi-110049 branch. Where is examnination center ?